We repair refrigerators, stove, dishwashers, ovens, steam ovens, microwaves, freezers, ice makers and all other kitchen appliances repair. If your appliance is broken or needs professional maintenance or installation give us a call. We serve both residential and commercial customers. Our licensed technicians are factory trained and certified to do any kind of kitchen appliances repair. We specialize in top brands of appliances such as Asko, Bosch, DCS, Electrolux, Fisher & Paykel, Frigidare, GE, LG, Miele, Perlick, Samsung, Siemens, Dacor, KitchenAid, Sub-Zero, Thermador, Traulsen, True, Viking, Whirlpool, and Wolf. But there really is not a brand or a model of appliance that we would not be able to fix. Our team is familiar with all European kitchen equipment and high-end brands. If you have a commercial kitchen and your equipment is in need of service or repair we can help you as well. 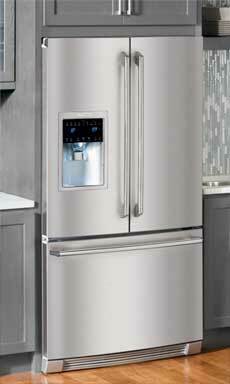 Our company Top Home Appliance Repair has been around for more than 30 years. And we have always been in the business of helping individuals and businesses with their kitchen equipment. We are family owned, and family operated a business, serving the area of Los Angles, Ventura County, and East Bay. You can trust us to do an excellent job for you! We guarantee total customer satisfaction at the end of the job! After an appointment with us, your kitchen appliance will be fully fictional, clean and safe to use! We offer top quality professional repair and maintenance service at very affordable prices. Just give us a call, and we will give you a free and accurate job estimate. The parts we use are always of the highest quality and very well priced. You can be sure to save money and get excellent results! Also, we promise you excellent customer service. All of our kitchen appliances repair team is not just very tech-savvy but also respectful, friendly and ready to help! Your appointment with us will be easy and fast, and the final results will be above your expectations. Our service area includes East Bay, Marin County, Oakland, and Novato as well as surrounding areas. What can you expect from your kitchen appliances repair appointment? With us, you can expect the fast and reliable service that will give you the results that you want. Just give us a call, and a friendly receptionist will give you a free and very accurate estimate. We will schedule an appointment for you right away. Same day appointments are available. We will work with your schedule to make it most convenient for you. 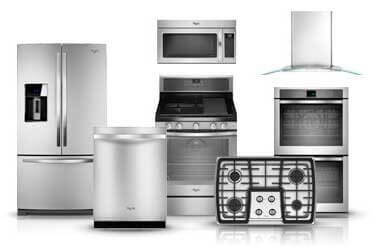 Our kitchen appliances repair specialist will be at your home at no time. He will bring with him all the tools and parts that he will need. We carry most of the parts with us. Usually, this speeds up the repair process because you do not have to wait for parts. At the end of a job, we will do a thorough safety check. Also, our appliance repair specialists will always clean after himself when he is done making repairs. He will also give you useful tips on how to do day to day maintenance. We are always happy to share our knowledge with our customers. Why pick us to do the kitchen appliances repair for you? You can trust us with your kitchen appliances repair in East Bay as well as in Oakland because we are the most skilled company for the job. With more than 30 years of hand on repair experience, we know every aspect of kitchen appliances repair. Every year our technicians take classes and get certified by the top appliance manufacturers. If you have an expansive, sophisticated piece of equipment in your kitchen, you need real specialists who know what they are doing. We guarantee your excellent results! When other technicians give up or take too long to fix something, our company finds a way. When other companies charge you an arm and a leg for a simple project, we give you honest, reasonable prices that you can afford. We make the whole process of appliance repair easy and stress-free for you. From making an appointment to ordering parts, to service appointment, everything is done at your convenience. And the final result is a kitchen appliance that is clean, safe and works perfectly. 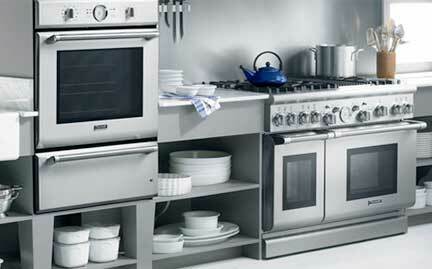 For all your kitchen appliances repair in Oakland and kitchen appliances repair in East Bay call us at 925-265-7782. For your kitchen appliances repair in Novato and kitchen appliances repair in Marin County, please call us 628-214-0064. Or you can fill out our short contact form. We are here to answer any of your questions and make an appointment for you right away.